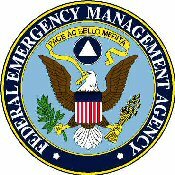 Serving as the Emergency Management office, the Department of Public Safety is actively involved in all phases of preparedness for natural and man made emergencies and disasters. In an effort to plan for disasters, the Department coordinates drills conducted with local fire departments, police departments and other emergency responding agencies. During the time of an actual emergency the Department integrates activities of its own Divisions as well as those of local, state and federal agencies. As part of this Division, the Department maintains a Townwide Communications Center which, in the time of an emergency, is the "hub" of the Emergency Operations Center (EOC).